Thursday, April 12, 2018: It was a cloudy day, but that didn't keep trains from going through Brainerd. They lumber along carrying coal and other supplies on a frequent basis. Train whistles can be heard for miles. 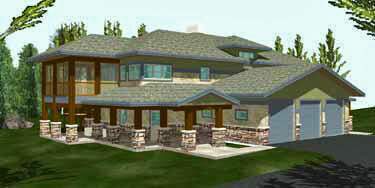 A comforting sound to town residents. 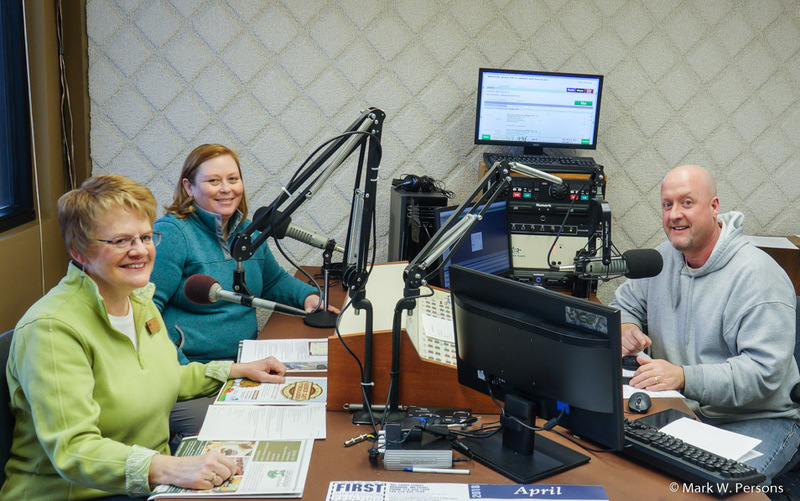 Paula is on the board of the Northland Arboretum and was a busy that day being interviewed on WWWI Radio. Vicki Foss, Executive Director of the Arb, is in the center and Rick Skogs of WWWI is seen on the right. This was Mark's 71st birthday. That didn't stop him from going out to help the community. 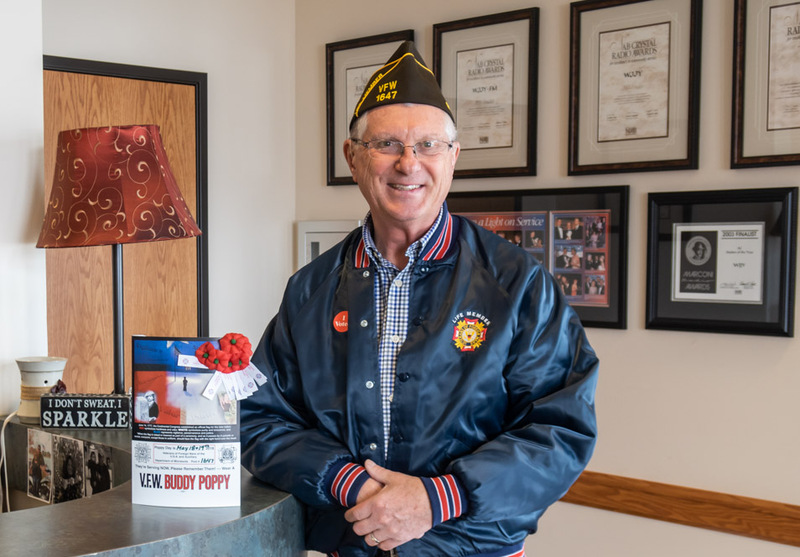 He was distributing Brainerd VFW Buddy Poppy placards to businesses which donated to help needy veterans. It is nice to know that 100% of the money goes to veterans in need. All other costs are paid by the VFW. Veterans of Foreign Wars members will be on street corners offering poppies to the public for donations on May 18 & 19. 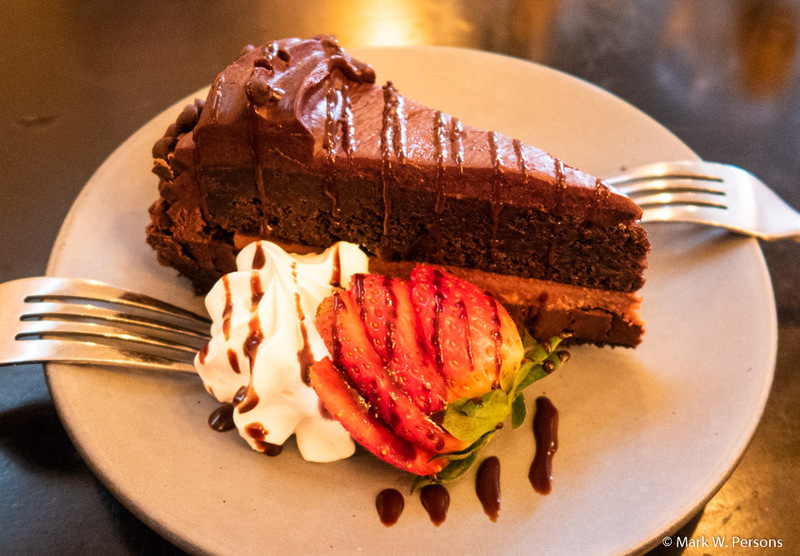 Dessert that night at the Local 218 in Brainerd made for a perfect day.